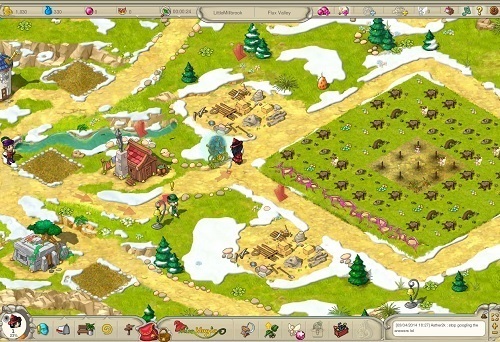 Miramagia is a free to play game that combines farming simulation with a magical game world. 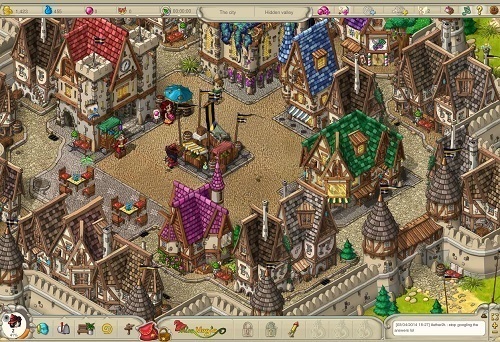 It’s available to play online through your browser and was developed by the same company that produced the popular MMORTS game, Travian. At the start of your adventure players will get to choose from four different classes (Sorcerer, Shaman, Druid and Mage) that each offer something special. Each class also has a male and female option so everyone is catered for. After your beginner’s tutorial with Djinni you’ll have all the knowledge you need to start exploring the wider game world that Miramagia has to offer. Miramagia focuses on three different gameplay mechanics; the ability to grow crops, raise your own dragon pet and use spells to help in your farm work. Farming is the main activity and also an important revenue stream for you. While you start with a small 3×3 patch of grass with time you’ll be able to expand your farm and the seeds available to you. By growing plants and travelling to the market to sell them you’ll be able to purchase all sorts of items to help you advance in your adventure. Taking care of your dragon is also a vital element of the game with food, training and upgrades playing an important role in your dragon’s development. Dragons are mostly used for the competitive races which offer great rewards for victory and participation. With plenty of strategy in these races they are always entertaining and have enough room for skilful players to overcome more powerful dragons with careful planning. Spells are the final element of the core game mechanics and are mostly used to help you on the farm or in dragon races with the ability to clear obstacles, call down rain from above, increase your crop yield and much more. With many spell levels and requirements to unlock the higher level spells you’ll always have a goal to chase in this area of gameplay. Miramagia is about as unique as it gets with arming simulation elements from the Harvest Moon series put inside a magical MMO world. With so many achievements, collectibles and other activities you always have something to do. Plenty of depth in every game element. Raise crops, race dragons and use magical spells. Four very different classes available. Lots of achievements, goals and collectibles to find.